Midfielder Rodri Hernandez has backed new club Atletico Madrid to be serious contenders for honours again next season. The 22-year-old started out amongst the youth ranks with Atleti, but had to move to Villarreal to make his senior breakthrough, impressing enough with the Yellow Submarine to secure a return to Madrid this summer. And Rodri is in no doubt that he has made a step up by heading back to Los Rojiblancos, who won the Europa League last season and finished in second place in La Liga behind champions Barcelona. He told the Spanish media: "Atletico want to win everything. "There has been a lot of change in the five years since I was last here and the club have grown a lot, now we have the best squad in La Liga. "It was an easy decision for me to return home, because I wanted this for a long time and now I have the chance to compete for every trophy. "That is why I have returned, to come and win trophies and to give everything for this club." 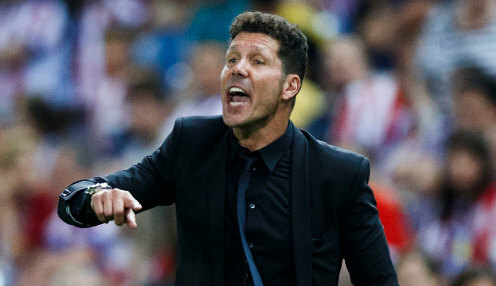 Atletico are available at 500/1 to win La Liga next season, with Barcelona priced at 1/5000 and Real Madrid 2500/1. Los Rojiblancos were last crowned Spanish champions in 2014, when they finished three points clear of both Barca and Real - drawing 1-1 in the Camp Nou on the final day of the season to ensure success.